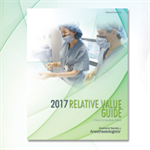 The Relative Value Guide® (RVG™) is an essential tool for all anesthesia practices and contains the most up-to-date CPT® codes. RVG provides full descriptors for anesthesia services, including the ASA’s anesthesia base unit values and more. This book also includes valuable comments by practicing physician anesthesiologists to ease the process of accurate coding. These files may be used with any software program that allows the import of these formats. 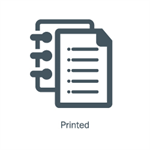 Pricing for these e-files are a flat fee plus a cost per user*. For more information or to place an order, please call Members Services at (630) 912-2552.